Wyndham Resort Denarau provides one, two and three standard and deluxe apartments. The luxury apartments all feature a fully equipped kitchen, living room, laundry and private balcony or courtyard. The state of the art resort facilities and guest services ensure your stay is enjoyable and comfortable. 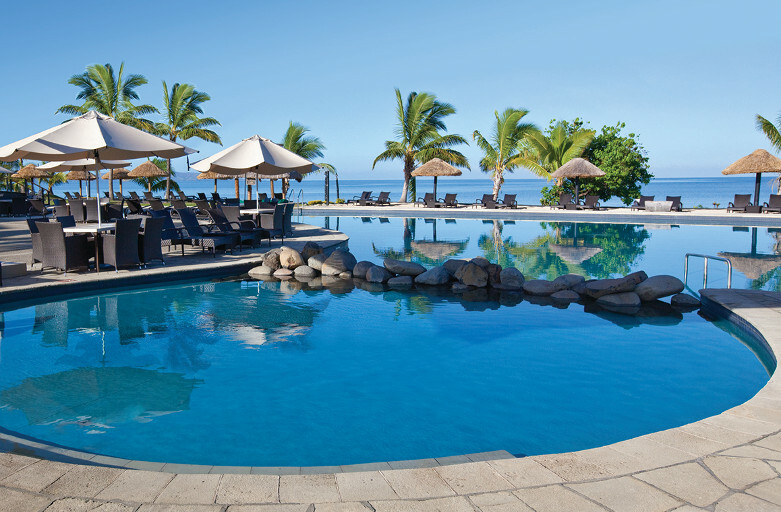 The exclusive new Maravu Pool and Bar – Adults’ Retreat boasts two non-heated alcove spa areas and a swim-up pool bar, while the main oceanfront lagoon pool has been completely refurbished and features a swim-up pool bar with wet and dry seating and a poolside café. Enjoy a meal out at the new Mamacita Mexican themed restaurant whilst the kids play in the cubby house, slide and larger sandpit at Kids Club. Located beachfront, Wyndham Vacation Resorts Asia Pacific Denarau Island is one of our most popular resorts, close to a variety of Fiji’s activities and attractions. Say Bula to Fiji and explore the historical and cultural significance, like the Garden of the Sleeping Giant and the Sri Siva Subramaniya Temple. Be adventurous and jet ski, dive, snorkel or take a cruise.